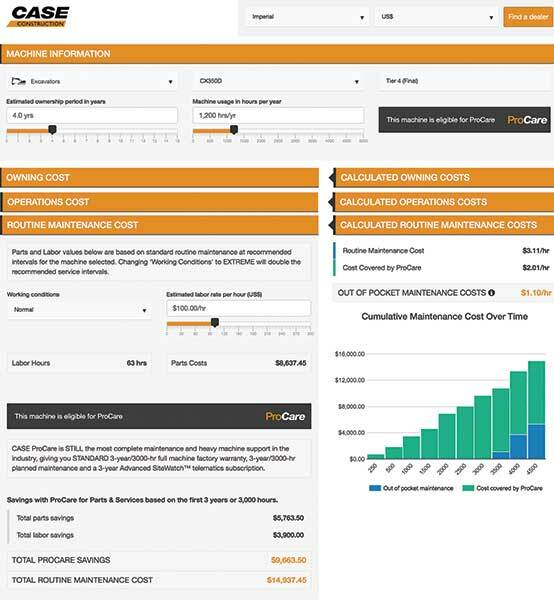 Case’s Total Cost of Ownership Calculator provides insight into lifetime ownership costs. 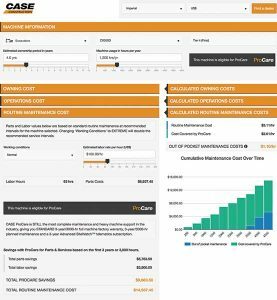 Case Construction Equipment released its Total Cost of Ownership Calculator, which provides prospective buyers and equipment owners insight into lifetime ownership costs. According to Case, the free program calculates data in U.S and Canadian currencies, as well as metric and imperial measurements. Users enter the equipment category and model, anticipated length of ownership, hours of use, and estimated owning, operating and maintenance costs into the calculator, which then computes an anticipated total hourly cost for the life of that machine.